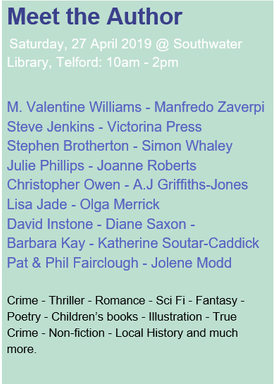 In April and May of this year, I'll be attending two Meet the Author Events in Telford, Shropshire. I'll be there with a number of talented local authors, signing books and chatting with our readers. If you're nearby, why not swing by and say hello? 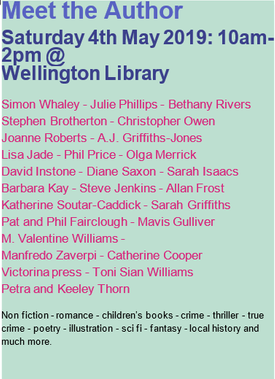 Today, I had the pleasure of joining a number of local authors at Wellington Library in Telford, for a local 'Meet the Author' event. 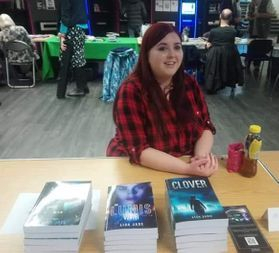 I was able to chat with new readers as well as interact with some talented local authors, including but not limited to Tora Williams, Barbara Kay, Simon Whaley, Julie Philips and Petra Thorn. The event was an absolute blast, and the first time I've done anything along these lines. I'll definitely be looking to attend the annual event when it comes around next year! If you don't follow my Facebook page, you'd be forgiven for thinking I've been very quiet these past few months. But I've really been very busy! I recently received the final proof copy of my latest novel, which will be coming out in a few months. There's a bit more planning and organisation before the cover reveal and pre-order date, but I'll keep you updated. A short story of mine has recently been published by 365tomorrows.com. This is a 581 word piece of flash fiction titled One Century Deep. I really enjoyed writing this one - and I hope you enjoy reading it! Today, a piece of my Flash Fiction writing was published via 365tomorrows.com! This awesome little site publishes a 600-word sci fi story every single day, and while they have a staff of regular in-house writers, they also accept outside submissions. I submitted a story I worked on last year, titled Eta Carinae. It was inspired by a video I watched talking about the unstable star about 8500 light years away from Earth. The story centres around the only human to ever see the star with their own eyes, right before the end of its life. I've put the link below - enjoy! 10th March 2017 - Clover is now available! 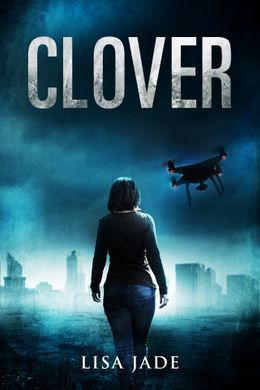 I'm pleased to announce that Clover is now available in both Kindle & Paperback formats! I absolutely adored writing this book. It took nearly two years in total from first draft to finished product, and took a lot of blood, sweat & tears to get there! The book has gone out to a number of reviewers who received pre-release copies, and while a couple of positive reviews are already in, there are more thoughts and opinions to come. I'm thrilled and absolutely excited to see what people think of the book - this is a story I've poured a lot into over the past couple of years and it feels fantastic to finally put it out there. Curious? Here's the link to view the book on Amazon. Why not download a Sample and see what you think? I'm now able to share the cover and synopsis of my upcoming novel, Clover! This novel is due for release on the 10th March 2017 and will be available on both Kindle & Paperback! I know, I know - it's not quite midnight. At the time of writing, my clock says 21:46. But I worry I'll fall asleep long before midnight, so I'm writing my end of year post now. I think 2016 has been a very eventful year, regardless of who you are or where you live. It's been a particularly challenging year in many senses, not just out there in the world - personally, my stress level has been maxed out since about May. It hasn't stopped me, though. With the support and encouragement of my readers, I've thrown everything I have into my writing. And 2016 has been good to me, at least in that regard; it's yielded some good results in NYC Midnight's writing challenges, including getting through to the semi-final of the Short Story Challenge, and being a finalist in the Flash Fiction Challenge, the results of which will be announced in the new year. A piece of Flash Fiction entitled Stitched Up has also been published online this year through 365tomorrows.com, and after joining a local writer's group, I've had more support than ever in chasing those ambitions! So thank you again for your continued support through 2016. I hope to work even harder in 2017 to being you even more stories! Happy New Year! I've not updated in a little while, have I? My apologies - I'm nearing the end of the first draft of this novel, and eager to get it done so I can begin the rigorous editing process! Anyway, we've had in the results from NYC Midnight's 2016 Flash Fiction Challenge - Round 1 is split into two challenges, with the top five overall in each heat going through the Round 2. I'm happy to say that my short sci-fi story, Prodigy, was awarded second place in Challenge #2, granting me second place in that challenge and second overall for Round 1. 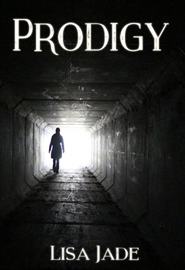 Challenge #3 has been and gone, with the results due early December, but in the meantime, please feel free to click below and read Prodigy! This morning, I woke to find the results to the first challenge of round one in NYC Midnight's Flash Fiction Challenge! The points system for this challenge is a little more complicated than the Short Story Challenge, which was a simple 'top five go through to round two'. Round one is made up of two challenges. The top fifteen entries receive points to carry forward. First place receives fifteen points, second place wins fourteen points, and so on. Those points then get carried over to the second challenge, and at the end the points are totalled and the top five go through to round 2. Scary, huh? I thought so. That's why I've been bouncing all day after finding out that my entry, Fortune 5000, was rated fifth in my heat! I've been allocated eleven points to carry forward into the second round, which conveniently starts at five am tomorrow morning! Then, I'll receive the genre, location and object for the second time, and again I'll have just 48 hours to have a story written, edited and submitted! Even scarier the second time round! 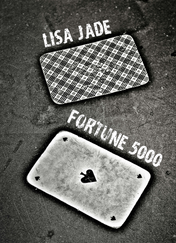 Anyway, in the meantime, please feel free to have a click below and read Fortune 5000. Enjoy! If you follow my Facebook page (and if you don't, have a look! It's the most often updated media), then you'll remember mid-June when I posted about having submitted a piece of flash fiction to an online literary magazine. Turns out, they rather liked it! The website, 365tomorrows.com, is a clever little enterprise that has been delivering one science fiction story online every day for over ten years. So when I'd finished my latest story, called Stitched Up, I knew where I wanted to send it first. I was pretty shocked but also overjoyed when I received the email confirming that they had accepted the story. For the record, in my whole adult life nothing's been accepted for publication quite in that way before, so this was pretty new! To my surprise I not only woke up to the confirmation email but also to the story having already been published on their site! This post is really just to share good news as well as express my excitement. I've been focusing a lot on contest entries lately while also working towards my next novel, and while I can't exactly tell what it's about yet, I can confirm it's a futuristic, dystopian novel with potential for a follow-up. All will become clear in time - but until then, please pop and have a read of Stitched Up over on 365tomorrows.com! Well, Round 2 of the NYC Midnight Short Story Challenge has been and gone. I don't have the results yet - they'll be announced on the 27th April - but I thought that for now, I'd share with you my round 2 entry. I had a lot of trouble with this one! Drama is not my forte, and decadence is not a theme that runs through my fiction, so none of this came naturally to me. However, after writing multiple stories I was able to come up with something I think is pretty good. Since I was taking a risk anyway with a theme that was so difficult for me, I decided to make it ever more challenging and wrote the entry, titled The Highway, in first person present tense. That's not easy to get right - and I still don't know if I have. So I'm excited to see what the results hold and even though I'm intimidated by the incredible other entries in my heat, I'm still looking forward to hearing the judge's thoughts! - You can read The Highway via the link below. In other news, I've been working pretty hard on The Launch of Eden lately, rewriting from the ground up after some major plot changes. There's a long way to go, but we're on our way! As you may know if you follow my Facebook page, we received the results of Round 1 of the NYC Midnight Short Story Challenge the other day - and I'm very happy to say that my R1 entry, Greyzoned, won second place in my heat! This time there's a smaller maximum word limit and the time available has been reduced from eight days to just three. I've had a lot of trouble with this round - Drama is not a genre I'm interested in, so I have less experience with it. But I'm working on it, and all I can do is my best. However, I am absolutely at a disadvantage here so won't expect to get through to the final round. That's fine by me, though - I received some very helpful feedback on the Round 1 entry and am very proud of having won second the first time round. Wish me luck with the chaotic next two days! If you're interested in reading Greyzoned, you can click the button below to view it in PDF. 21st January 2016 - NYC Midnight's SSC! This Friday, I'll be taking part in NYC Midnight's Short Story Challenge! It's a contest unlike anything I've seen - set up tournament style, the 1500 or so entrants are given a genre, character and one further detail and offered a number of days to write a short story that fits the guidelines. The top five from each heat go forward to the next round - of course I'm not expecting to be able to go through as there are only three rounds and the judging needs to be harsh, but I am very excited for this! I entered the SSC to challenge myself - this Friday, I may be asked to write Political Satire or Crime Thriller, two things I have little experience with. I plan to post regular updates on here once the first round kicks off - wish me luck! 3rd January 2016 - Bring it on, 2016! Three days late - of course. The last few weeks have been stressful and busy for everyone, but I must offer my apologies for not posting a new year's message until now. 2015 was an eventful year - most markedly because I released The Lumis War, which is to date my longest and in my opinion best project. I have plans for 2016, increased volume of output and ever-increasing quality of work, so watch this space! May I take this time to wish everyone a wonderful new year, and I sincerely hope you all manage your goals and dreams in 2016. Remember that dreams don't work unless you do, and strive to make things happen for you this year! From the bottom of my heart, thank you for all the support I have received throughout 2015 and beforehand, too. It means the world to me. 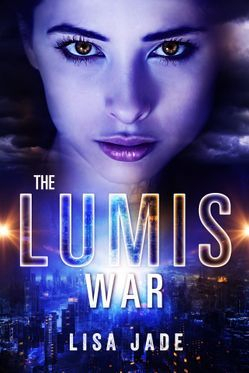 I'm happy to announce that I have now released my newest novel, The Lumis War! This book is the result of months of hard work, time, dedication... and a surprising amount of money. Far be it from me to sound cocky, but I'm very proud of this book. This is the very best that I can put forward. In this book is every lesson I've ever learned, every helpful article, every casual and professional review I've ever received. Frankly, I'm terrified. I've done my best, and now I am at the mercy of you, dear reader. I just hope you enjoy it. I've been fairly quiet recently. I haven't blogged much, or even posted on social media all that often. You'd be forgiven for thinking that I'm not working on anything right now - but you'd be wrong. For the past several months, I've been writing and editing another book. I decided not to market this one until it was completely finished, and even now I'm not revealing much about it. All you need to know is that I have worked harder on this book than anything I've ever done before. It's taken endless hours of typing, planning, and editing to get to this point. It's a whole new direction for me and I've poured not just time and effort, but a small fortune into it. I'm currently in the process of having the wonderful Amygdala Designs make a cover for the book, while giving it one last review before publishing it. I have a pre-reader lined up and a plan to market this one and get it out there. So keep an eye out - once it's ready to go, I'll post on here and social media with details and a preview of the cover. I hope everyone's as excited about this as I am! Recently, I've been feeling a little doubtful. I've been rereading things I wrote a long time ago and wondering why I ever thought it was a good idea. I've been reading over my current project and wondering if, in two or three years, I'll look back on it and think it's awful, too. Not everyone knows this, but despite the fact I've only been publicly sharing my writing for around 18 months, I've actually been writing for years. I hesitate to call The Hit my first novel, because quite simply it's not. It's the fifth or sixth novel-length piece I've done. I've done a few since, too. Out of every seven or eight projects, only one was good enough in my eyes to share. And I even have my doubts and insecurities about that. I went over and reviewed my past projects today - even the ones from 2011, which are so shockingly bad I thank my lucky stars I didn't know how to share my work then. While I was looking through, I found myself counting. In my time trying to seriously write something, I've written over 520,000 words. Keeping in mind The Hit is only 60,000, this is a fairly massive chunk of fiction I've written and then tucked away somewhere because it simply isn't good enough. The project that was good enough involved seven months of constant writing, planning, editing, rewriting and reviewing before I was satisfied. But we are our own worst critics, and it takes a lot to silence that voice in my head that tells me I'm no good. The way I see it, talent stands for next to nothing, especially if you're not willing to put in the work that comes with it. I've spent countless hours sat in front of my laptop, and typed until my fingers ached. I've sat up for a ridiculous number of hours, stared at the screen until my eyes have blurred - and yet I'm still barely a beginner. I don't count myself as a professional, though that is the goal. I'm still young and I have a lot more I can learn. Every hour spent at the keyboard is another bit of experience for me, another tiny skill learned. A big break may never come for me - and I'm happy with that. I write for the love of it, and if I can find one good story in every half million words I write, that's worth it to me. Some of you might have been following my blog and facebook page, and remember back in November when I took part in National Novel Writing Month. It's a challenge that takes place every November, and it involves writing a full 50,000 word novel in the space of 30 days. While I've won for the last four years, I've never been satisfied enough with the projects to publish them. Instead, I use it as practice. But recently, I've taken notice of another challenge. It's also run by the Office of Letters and Light (the lovely people who make NaNoWriMo possible) but it takes place in the summer and is totally flexible. I can challenge myself to write a hundred words, or a million, and the challenge stats change to suit me. For this July, I've offered myself up a smaller task; 25,000 words, enough to fill out the project I've been working on, but not so much that I end up risking quality. I'm taking part with a friend from work, whom I managed to convince to join me last November for the full go. I'm excited to face this task, starting at midnight tonight and lasting for the whole month. Wish me luck! You can follow my progress here! I finally got around to writing this blog post - sorry that I didn't have anything to post for the month of April, there simply wasn't a lot to really comment on, at least until the 23rd. See, in late April I was approached via Facebook by a lovely stranger who took an interest in my work. From talking with them, I found out they were interested in the same genres as me, and that they had the same favourite books. Definitely a kindred spirit. I directed them to this site and told them that if they were interested, then I had a couple of works that were available to read for free. I received an acknowledgement, and thought that was that. I was overjoyed at the possibility of having a new reader - every additional person is a massive help and makes the world of difference to me! So imagine my surprise when, a few days later, they contacted me again, this time to ask permission to write a review/post about my work on their blog. It turned out that they had read 'The Bout' and had enjoyed it enough to want to share it with their readers! It absolutely made my day, and although I shared it on Facebook I've yet to share it on here. I have no excuses for this - I just simply haven't gotten around to it. You can read their post here - and I also recommend having a browse around the rest of their site too. They have some pretty interesting thoughts on other subjects and seem to have a lot of good posts on the way! 8th February 2015 - Previews Galore! In 2014, while I was working hard to write 'The Hit', I found myself getting nervous. I had never shared my writing outright before and honestly, I was scared. I had a lot of fears - some realistic, but most were just the result of blind panic. I didn't want to just throw a book out there and have people read it with no idea about it before. So, I took the first 10,000 words of the novel and published it here, on my website. I shared the link on facebook and asked for people's thoughts. I received so many great and supportive comments that it really encouraged me. Everyone's kindness really gave my the courage to publish my first novel. I feel the same nerves when I think about 'The Launch of Eden'. It's so different from 'The Hit' and a part of me is scared I won't get it right. I'm taking a lot of risks with it and combining a few genres - romance, dystopia, science fiction. It's pretty terrifying. So I'm doing the same thing now. You can either click the 'Books' tab on this site, or click HERE to read the preview. I'm looking forward to hearing what people think! In October, I posted about my newest writing project, 'The Bout'. I'm now happy to announce that the project is now completed. The story turned out to be around 20,000 words (that's 76 pages). Not long enough to count as a novel exactly, bur certainly enough to be a short, enjoyable read. I'm very proud of this piece; I wanted to try and write something that is much shorter than a novel but too long to count as a short story. 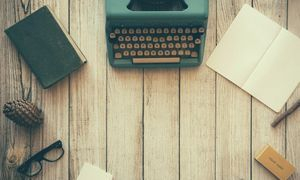 I found it challenging and interesting to limit descriptions and development to around 20,000 words rather than the minimum of 60,000 that I usually aim for in novels. You can now read 'The Bout' right her on this website! I've been preparing for National Novel Writing Month lately, and have been completing multiple novel covers for other participants of the challenge. But after making over a dozen covers, I started to feel that itch that can only be scratched by sitting down & getting a good story written out. And I've been working on an idea for a while - not a full length novel, but certainly a short novella I can post on here for free. A post-apocalyptic piece about a survivor of a world-wide epedemic. It's been four years since a deadly strain of Influenza has destroyed most of Earth's population. Harri is a 23-year-old woman who's been surviving off the remains of humanity. Though she used to travel with friends and family, slowly they all fell victim to the disease. Only she has somehow survived it. She heard rumours, long ago, of a walled community where other people like her - the Immune - can call home. For the past three years, I've taken part in National Novel Writing Month, a worldwide writing challenge with hundreds of thousands of participants. The premise of the month is simple: write a 50,000 word novel in the space of thirty days. For the past three years, I've won. Of course it's impossible to write an excellent final draft in thirty days - but thirty days may be all you need to get down the bare bones of an awesome story. I've attempted all sorts of stories in the past. My 2011 novel was a piece of historic literary fiction based in the 1800s following the son of a lord. My follow up in 2012 was a super high-tech survival story based in a futuristic prison. And last year's attempt was a much more subdued attempt at writing deeply personal struggles in a mildly sci-fi setting. This year, I'm going to try and take all that I've learned in previous years and use that to write something excellent. Or at least, the first draft of something excellent. I hope that this is the year I will be able to publish my NaNo Novel! If you'd like to track my progress, I will be regularly updating my facebook page as well as this site. Alternatively you can click here to see the graph first hand. I've spent the last two days trying to make heads or tails of online instruction for creating ebooks. It seems like it should be the easiest thing in the world - just reformat the document into a readable format, upload and go. But it's actually surprisingly difficult. I had this same issue three years ago when I published my first paperback book on Lulu.com. The cover and interior, which seemed so simple, took multiple tries to get right. But this time round, it took minimal effort and only one attempt to get a perfect paperback interior. Creating ebooks is likely to be the same kind of learning curve. It may take a little while, and a whole lot of research, but eventually I'll figure out the tricks of the ebook trade. Like most things that are worth doing, it's not straight forward and it's not easy. But it's going to be so worth it. Well, it's done. The draft copy of 'The Hit' is complete. A little behind schedule, yes, but finally, it's finished. I've spent the last few days basking in the enjoyment of having completed yet another draft project - but that can't go on forever. There's still so much left to do before 'The Hit' is ready to share with the world. An initial re-read, spell check, adding bits in, cutting bits out, amending some character scenes. That's just the first step. Then comes the formatting, reading through again, then again, until it's as good as I can get it. Today I started reading through it. Just reading, to see what I think. And you know what? I'm pleased. I'm still just as satisfied with the story as I was when I first started writing it. As often happens, sometimes I finish a project, read it back and find I've gone off it. Not this time - and that is precisely how I know I'm onto a winner. So yes, editing is long and arduous and kind of a nightmare. But I welcome it. Every reread, every letter changed is a tiny step closer to being able to share the story with the world. It's so worth it. "One to learn from - use this experience to help with your next story"
This was the ending of the critique I finally received from Writer's Forum magazine. I can proudly say that the critique was incredibly fair. It was critical in all the right ways and complimentary in all the best ways. They pointed out minor flaws and some more basic ideas for things I could improve, while sandwiching it between compliments that really have boosted my confidence. It would be so easy for me to take the good points (especially the comment 'you clearly have talent', which makes me blush every time) and dismiss all the constructive critique I've been given. It would also be easy for me to wallow in self-pity based purely on the negative, and ignore all the good that came out of this. But I won't do that. Asking for critique can be absolutely terrifying at times; and actually receiving it can be really tense and scary. But you have to take things as they come - nobody can expect to be 100% praised all the time. There's not a writer alive whose work hasn't at some point been negatively commented on, and it's unfair and unrealistic to expect that. Things like this are good, not only to improve the quality of your work, but also to get you used to the fact that while your loved ones will always praise the things you do, not everyone will. What the judges have said to me has proven absolutely invaluable. Already I'm starting to plan for a new short story to enter next time round. Only this time, I'm going to grasp onto the positives, such as my 'well-drawn and credible' characters, and pour in extra focus to the faults they pointed out (use of incorrect words, formatting errors). I've gotten drastically better at writing in recent years - and even more so in the past few months. But writing alone will only get me so far. I need the critique of others - the positive and the negative in equal parts - to improve and reach my full potential. The critique I've received is going to be incredibly useful in improving not only the work I've already done, but everything that I write from this day forward. I just have to be open to listen to it. One of the scariest things you can do is put yourself out there. Whether it's standing up on stage and singing or finally signing up for that course you've always wanted to take, it can be terrifying to have to take that leap. Believe me, I know. I took that leap three days ago. 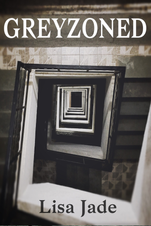 I submitted a short story, With a Whisper, to the Writer's Forum monthly competition. I printed out the four pages, packed an envelope with slips and addresses and stamps, and sent it off. Now, let me start off by saying that I don't think for even a second that I'm going to win. The monthly contest is regularly entered by writers far more experienced and talented than me, something that's obvious every time I read it. The winners are always amazing - absolutely outstanding. So I bet you're wondering why I'm biting the bullet if I might not even stand a chance? Well, that's because I ticked a very important box on my entry slip. I requested a critique from the judges; and it's this that has me both thrilled and nervous. The words I read on that paper have the potential to fill me with confidence - or to make me too scared to share my work. I am so nervous to hear what they think of my work. But maybe I'm putting too much focus on it. People are always telling each other that they shouldn't seek the validation of others - and to a point, they're right. You should always be steadfast in your choices, and never put yourself out there if you're so nervous that negative feedback could knock your confidence. Of course, this is the first real piece of feedback I'm ever going to have - don't get me wrong, I adore hearing what my friends, family and fiance think of my stories, but I'm well aware that their opinions are heavily biased. They're not going to straight up tell me it's awful, even if they think it is. But that's the whole reason I'm doing it. If you're passionate about something, it can be so easy to talk about it all the time and share it with your loved ones. They'll lift you up and support you, and it'll feel great. But you know what feels better? Despite the fear I'm feeling, and the nerves at the idea of receiving negative feedback, I am so excited to hear what the judges have to say. Even if it's just a basic list of good v bad, it's going to be infinitely more useful than any feedback I've received to date! I'll take it to heart and work to be even better... and that can only be a good thing. It took me a long time to figure out what to put as my first blog post on here. I've made and deleted this post so many times that I figured I'd probably never get round to it. But here it is. I figured that the first and best thing to talk about is how I actually decided to write 'The Hit'. Like a lot of writers, my head is consistently packed with ideas. There's a thousand different characters in my brain at all times, all living out different stories in different worlds. 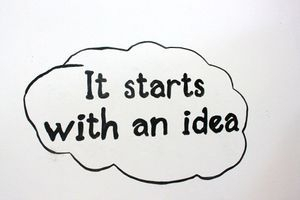 If I had gathered together all of the ideas, I'd have about twenty left to write even now. There's a file on my laptop called 'Discarded', but maybe a better name for it would be 'Novel Graveyard'. That's where I keep all the ideas that started to form in my head but never made it into story form. Every so often I'll catch myself browsing through it and feeling kind of inspired to try and rewrite an old story. There are a couple of stages a story has to reach before I know I'm going to finish it completely. Firstly, it has to inspire me for a decent length of time. I give the idea time to stagnate in my brain and then when I put my fingers to the keys there's a far more developed story there. Then, it has to pass what I call 'the cover test'. I'm somewhat of a casual artist, so if I like an idea I'll make a cover for it. If I still love it even after that, then I decide to write it. 'The Hit' really surpassed all my tests. The story stuck in my head so strongly that I just couldn't seem to shake it. The first cover I made was great. I realised that this idea just wasn't going to go away no matter how much I tried. So instead, I embraced it. I started brainstorming straight away. The next day I started advertising that I was going to release it. And that's how I got where I am now; working hard to write, edit and market the best story my mind has ever come up with. Here's hoping that it all goes well and turns out as good as I'm hoping it will!